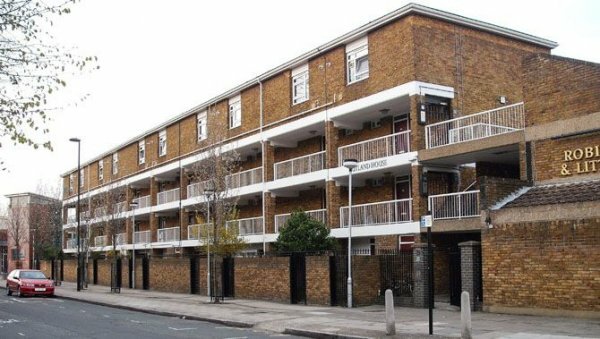 In February 2010, ‘AWICS’ was appointed as Independent Residents’ Advisor to the tenants and other residents of the three estates managed by the Lambeth Alliance of Tenant Management Organisations (LATMOS) in Lambeth. LATMOS was formed by tenants and leaseholders of the Ethelred, Magdalen and Thorlands estates, to transfer the ownership and management of the housing to another social landlord. LATMOS believed that in these areas stock transfer would be the best way of securing more investment in homes, better services and a continuation of the TMOs. “Secure the best housing future possible for the residents of Ethelred, Magdalen and Thorlands Estates”. LATMOS successfully bid for a grant to support the feasibility stage and the council agreed to match fund this grant. However, due to the amount needed to be spent on repairs within the homes and estates it was not possible for LATMOS to take on the housing as a standalone landlord and therefore had to look for help from an existing landlord. This landlord had to be a registered provider. To select the partners a panel was set up. This panel included members of the Shadow Board that had been formed by the three TMOs. The Council appointed ‘AWICS’ as an Independent Resident Advisor to work with residents across the three estates to explain the transfer proposals to tenants and other residents, to gauge the level of support and report their findings back to tenants and other residents and the council. It was intended that all LATMOS properties would be brought up to the Decent Homes standard set by the Government. The proposed transfer would mean this standard could be met and improved upon within the first five years. These improvements would include carrying out roof replacements and rewiring of homes and communal areas as necessary. Details were put together of what would happen if the transfer went ahead with the preferred partner and a ballot for tenants was held in the later part of 2011. It must be noted that for the transfer to go ahead, at least half of the vote must have been in favour. Arranging and structuring meetings of representative groups to discuss proposals, ensuring that representatives from often-excluded are encouraged and enabled to participate. Representing and supporting residents in negotiations and discussions with other key stakeholders in the process, including Lambeth housing staff and any proposed new landlord. When LATMOS first began the idea was to look at the possibility of the TMOs taking on the housing from the Council and operating as a standalone landlord. However, when more was known about the condition of the homes and the cost of repairing, improving and maintaining them it became clear that LATMOS needed to work alongside a partner landlord. An independent firm of surveyors called Hunters looked at the homes on the three estates and assessed what needed to be done to them to meet the decent homes plus standard and to keep to that standard in future. After this work was completed the Council's lead advisors compared the cost of this work with the income that would be made available from rents and other sources. The end result after all the valuations and calculations were done was that LATMOS could not afford to act as a standalone landlord. This is why a partner was needed. AWICS assisted residents in understanding the conclusions of the surveyor and the lead advisor, including assisting residents' in making a constructive challenge to the conclusions of the lead advisor. After a thorough selection process in which AWICS provided assistance, LATMOS selected WATMOS Community Homes (Walsall Alliance of Tenant Management Organisations) as the partner landlord for the housing stock transfer. Responding to a public advertisement, six registered providers (housing associations) originally bid to act as joint landlords with LATMOS, four of which were short listed as possible partners. During November 2010, LATMOS shadow board members, staff from the Ethelred, METRA and Thorlands, as well as a number of residents and representatives from ‘AWICS’ visited the four housing associations. Later representatives from those housing associations took part in open days for residents held on each of the three LATMOS estates; and residents attending the open days were asked for their views on what they had seen of the possible partners. Following the visits and the open days, the short list was reduced to two, based on what they were offering residents. Finally, after interviews and presentations, that took place on 9th December 2010, the LATMOS shadow board and Council representatives made their recommendation that was confirmed after further discussion at a meeting of the Shadow Board on 13th December 2010. In 2001, Walsall Borough Council proposed a large scale voluntary transfer to the Walsall Housing Group. This caused concern among the TMOs that they would lose identity, community and investment. After looking at options it was decided to set up WATMOS as an independent housing association. In 2003, 1,828 homes transferred from Walsall Borough Council. The mission of WATMOS is to work with others to provide sustainable community housing and to provide social and personal development opportunities. The objectives of WATMOS are to provide high quality social housing in a safe and stable community; and to be a vehicle for other TMOs. "The commitment of WATMOS to Tenant Management Organisations was especially impressive and the standard of works that has been achieved also appeared good." After the partner landlord was identified, LATMOS put together a detailed proposal – called a ‘Formal Consultation Document’ – for tenants and residents to consider. This gave details of all the things tenants and residents need to know before making up their minds whether or not to support the transfer. It included information on rents, repairs, maintenance and improvements, tenants’ and residents’ rights, housing services as well as information for leaseholders. Tenants and residents were able to compare what transfer would mean compared to staying with the Council. The formal consultation document was issued in May. There were plenty of opportunities for questions to be asked and answered and during this process AWICS provided advice and information. In November 2011 there was a ballot to find out whether or not tenants support the transfer. For the transfer to go ahead their was a local requirement that more than half of those eligible to vote must do so and a statutory requirement that of those, over half must be in favour of the transfer. The ballot took place with a turnout of 65.5% and 51.1% of those taking part voting in favour of a transfer. The stock transfer took place on 31st March 2012. The Ethelred, Magdalen and Thorlands TMOs are now part of WATMOS. The transfer has been successful and the homes have been improved as intended. AWICS is proud to have assisted the process by providing independent residents' advice.